Lawmakers in at least six states spent spring sessions working to change the legality or advertising of raw milk, with others still in play. In Oregon, a state senate committee voted unanimously to repeal advertising prohibition laws related to raw milk, followed by a 56 to 1 vote in support of the change. A 2014 lawsuit has helped to ease the enforcement already however, as Cast Iron Farm settled a dispute with the Oregon Department of Agriculture (ODA) after the farm posted raw milk pricing, test results, and other information on a website, reports Capital Press. Attorneys at the ODA suggested the law was unconstitutional at the time, and that lead to the push for a law change. Oregon's raw milk laws dictate that farms can sell raw milk on the farm if it holds fewer than 3 cows, 8 sheep, or 8 goats can sell milk on the farm. However, a goat or sheep herd that is tested free of brucellosis can be sold off-farm. The advertising change would still need to be signed by the state's governor. The Oregon Dairy Farmers Association has not taken a position on the bill. In Montana, one of five states where raw milk consumer sales are totally banned, a bill that would have allowed raw milk sales, from small herds after brucellosis testing, failed in the Montana State Senate. House Bill 245 started as a bill to allow raw milk sales from herds of less than 15 cows and 30 or fewer goats and sheep. That bill was amended to 7 cows and 15 goats and sheep before it left the Montana House, and included a 1" by 2" sign with a warning about liability for raw milk sales being passed onto the consumer. The bill passed 14 to 3 in House committee and 61 to 38 in the full House. In the Senate, the bill was postponed indefinitely after a 25-25 tie vote last week. West Virginia is another one of the five states that allow no raw milk sales, but legislators moved to loosen regulations there by allowing herd sharing agreements. After a narrow passage in the West Virginia Senate, their House of Delegates pushed it to Governor Earl Ray Tomblin, who vetoed the bill citing public health concerns. Senate Bill 45 in South Dakota opened up raw milk law, allowing consumers to purchase raw milk at the farm where it is produced, or to be directly delivered by the producer to the consumer. The state's secretary of agriculture may make rules related to labeling and quality standards, and adds a $50 fee for a raw milk sales license. The bill passed with little resistance, sailing through its senate committee 7 to 2 and full senate 30 to 4. 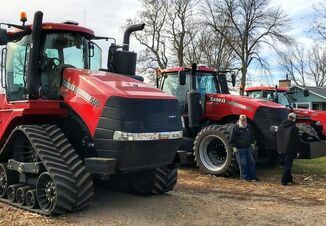 The House Agriculture and Natural Resources committee passed the bill 12-0 and the full house passed the bill 65 to 2 before being signed by governor Dennis Daugaard on March 12. Legislative drawers (L.D.) 229 and 312 are both aiming to change raw milk laws in Maine, where raw milk sales are allowed, but farmers need a license to sell it legally. L.D. 229 would exempt farms from that license if they produce fewer than 20 gallons of raw milk per day, allowing it for sale at the farm or farmer's markets. L.D. 312 allows sales at the farm to be exempted from the license requirement, but would prohibit farmers from advertising and require a sanitation course. Both bills would require labels noting the products are un-pastuerized. L.D. 229 was debated in a public hearing and received an "Ought Not To Pass" rating, while L.D. 312 has not been voted on. Both bills received a divided report, which means multiple recommendations will be sent for legislators to consider. The governor vetoed a bill almost identical to the more restrictive L.D. 229 last session, in 2013. Over 150 farms in Maine sell raw milk today, while just 13 did 20 years ago, reports Food Safety News. The Maine Dairy Industry Association and Maine Cheese Guild both oppose the bill. With a vote of 57 to 1 in the Wyoming House, and 20 to 8 in the Wyoming Senate, Governor Matt Mead signed a new law that allows unlicensed, unregulated direct consumer sales of any agricultural food except meat. Producers can also sell un-aged cheese. Connecticut - SB 360 would allow herdshares of up to 5 cattle or 15 goats or sheep. Hawaii - Two bills, SB 588 and 381 would allow sales at a farm and allow sales through herdshares, respectively. Illinois - H.B. 2690 would strengthen current raw milk laws, allowing sales on farm, as the state's Department of Public Health has attempted to regulate the sales in recent years. Indiana - H.B. 1346 would recognize herdshares, and allow a person to obtain raw milk if they are related to or employed by the owners of the cows. Raw milk sales are illegal in the state currently, and Indiana neither approves nor disapproves of herdshares currently. Iowa - H.F. 209 allows raw milk to be sold for animal feed, but also would ban herdshares. New Jersey - would allow on-farm sale of raw milk with licensing and signage through A. 543 and S.1285. It was voted out of committee but is not scheduled on the Assembly floor. New York - would recognize cow shares with A. 3689. Rhode Island - would allow raw milk sales for the first time if H.B. 91 passes. It is in committee for consideration. Texas - considering allowing direct sales at farmers markets and direct delivery with H.B. 91. Vermont - H. 426 would add a third tier to Vermont's current two-tier regulated raw milk sales system, allowing for a lower tier without as much regulation. Utah - passed a law removing prohibition of cow-shares with H.B. 104.